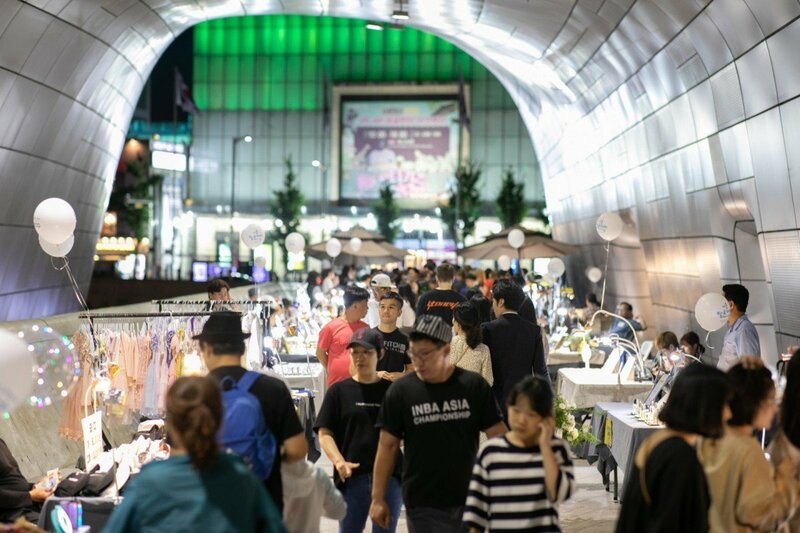 Returning to Seoul again this year, the popular Bamdokkaebi Night Market will be stationed at several locations every weekend beginning from April 5 until October 27, 2019. 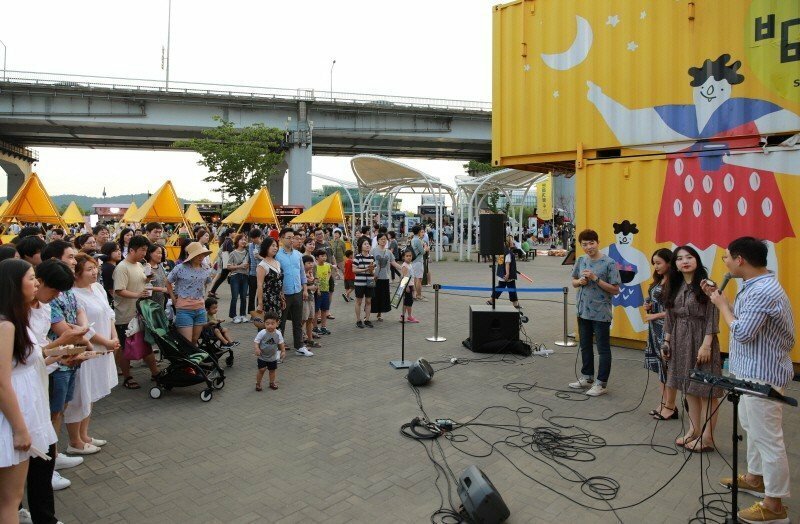 The Night Market was selected as Seoul’s most popular seasonal festival in 2017, attracting over 5 million visitors at 6 venues. 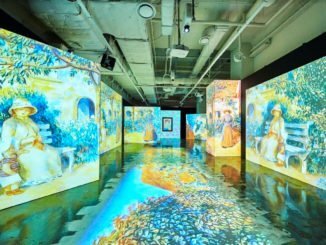 This year, it will return at 5 venues situated at the Yeouido Hangang Park, Banpo Hangang Park, Dongdaemun Design Plaza (DDP), Cheonggyecheon Stream, and Oil Tank Culture Park. Each location will feature various zones such as the Food Zone, Handmade Zone, Event Zone, and more. Look forward to a variety of food trucks that offer delicious street snacks and exotic food items, open market with unique handmade items, busking & cultural performances, as well as fun events happening at the various night markets! 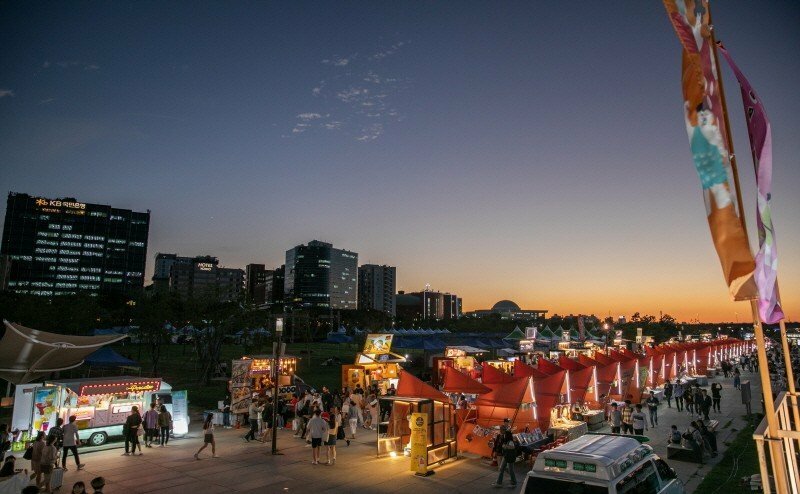 Every night market has their own unique booths and theme, and so does the Yeouido World Night Market! 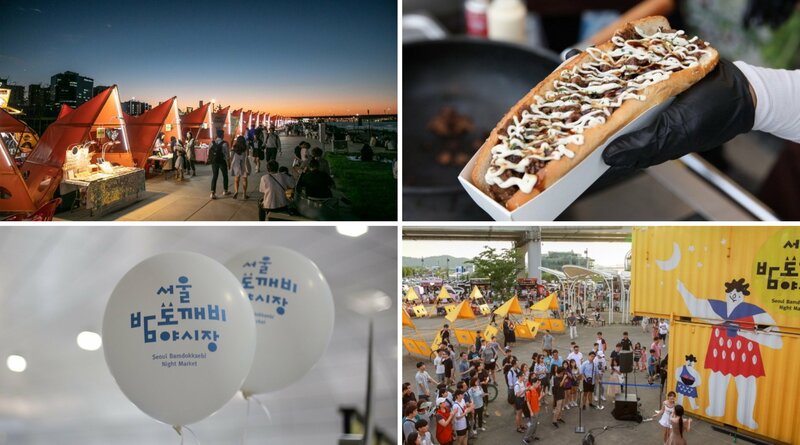 Enjoy a laid-back time strolling along Hangang River and discover one-of-a-kind artworks and special handmade items at the Handmade Zone, along with a whole stretch of food trucks serving up culinary delights that will tantalize your taste buds. What’s more, there is a special World Zone that displays and sells souvenir from all over the world under a specific theme which varies by month, so you can visit here at different month and still discover something new! For the families, hands-on programs catered for all ages can be found at this night market too. If you’re someone who’s into art and design, the DDP Youth Runway Market may just be for you. 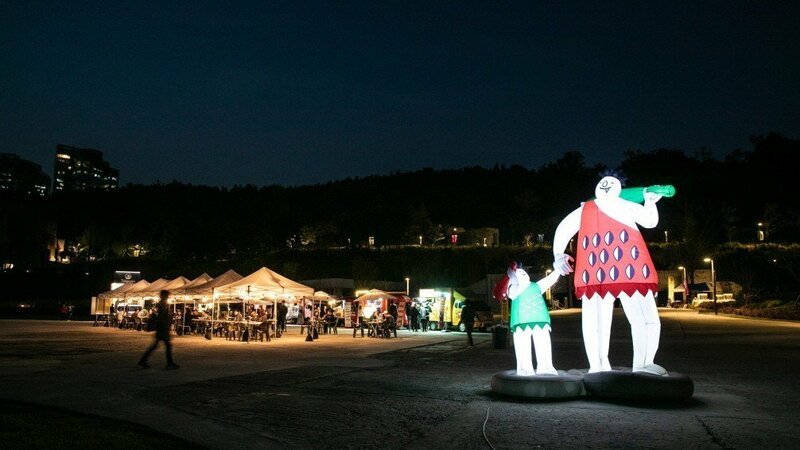 A trendy night market where you can discover the talents of young artists, this night market features creative masterpieces by youths, as well as craft works by experienced local merchants. Over at the Food Zone, find a diversity of fusion foods that are not just worthy for the grams but also captivating for the taste buds. Not to mention, there is also a special photo zone that reflects the unique architectural design of the DDP! The Cheonggyecheon Time Tour Market sees relatively more tourists because of its popular location. 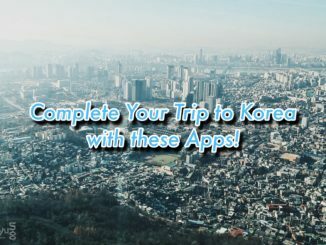 Over here, visitors can get a taste of the Korean culture through various hands-on activities offered at the night market. A walk through the night market also brings you on a gastronomic journey to discover snacks and foods that you’ve never tried before. 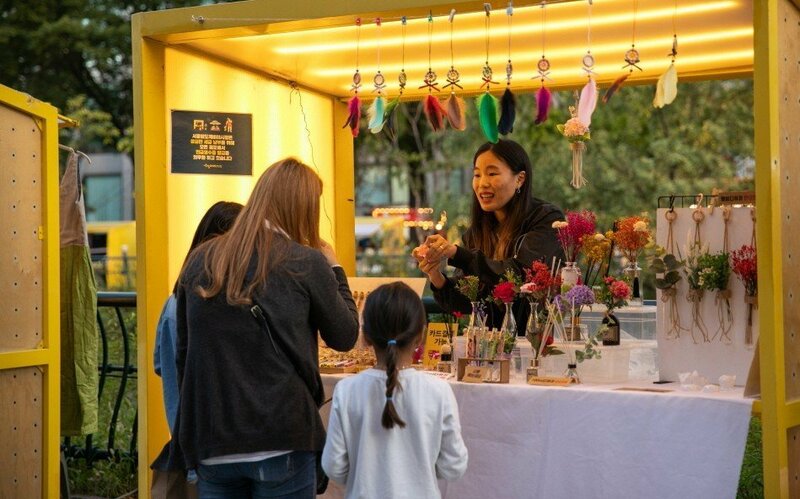 One of the market’s highlights is the Memory Lane Project, a permanent night market event that recreates people and places from the childhoods of Koreans in their 30s and 40s. Enjoy a romantic date or stroll under the moonlight at the Banpo Romantic Moonlight Market, where various zones are catered to allow for different and unique experiences. From musical performances to one-act plays and more, this night market has got lots to offer. Find unique pieces of artwork at the Handmade zone, or put your hands to work at the Romantic Art zone, where hands-on art experiences differ every season. A relatively smaller market that is based on an environmental theme, this season market comprises a festive space where people buy and sell their products, just like a flea market. Besides hands-on programs and busking performances to enjoy, one can also find a variety of eco-friendly products and artworks produced from recycled materials. This market only opens for 3 weekends in May. The exact dates have not been released yet, but you can check them out here nearer to date. Getting here: World Cup Stadium Station (Line 6, Exit 2). It takes about 10 minutes on foot from the station. 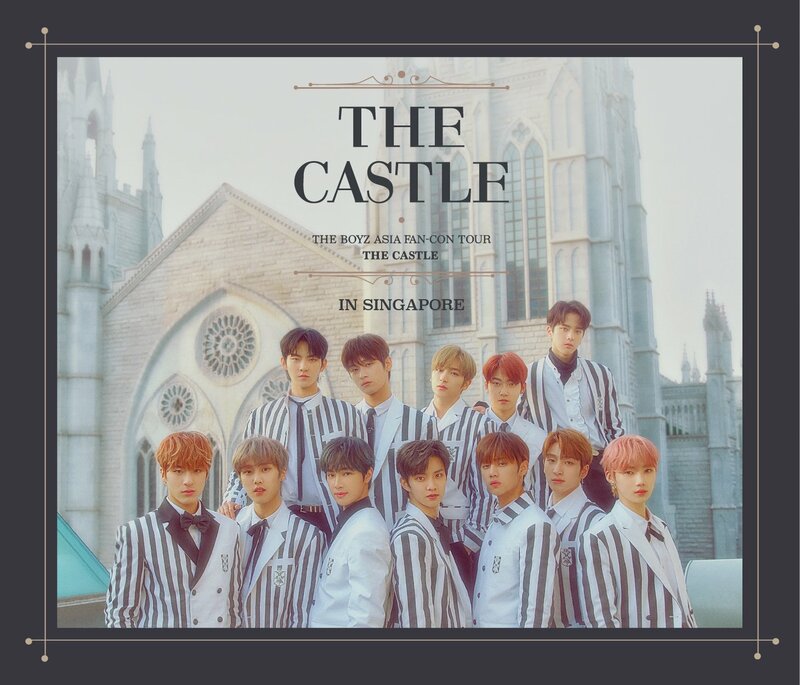 Disclaimer: All information are up-to-date at the time of writing and posting. 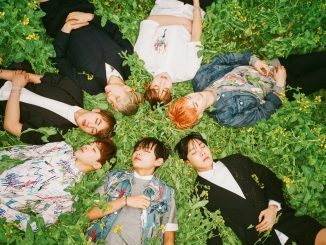 [K-TRAVEL/TRAZY] Catch BTS, EXID & Dal Shabet at Pyeongchang Olympic Celebration Event!